I got my maltipoo puppy at bandc kennels.I bought the puppy food that they had at the kennel on March 15 2019. My puppy loves it. When out I will buy more. Thanks for the great work in making a great puppy food. This is the food the kennel had our Rottweiler puppy on when we got him. Seems to be just the right balance for him and he’s doing great! We’ve had our new family member, Flynn (a 14 week old morkie), home for 2 weeks now. The kennel that we got him from had him on this puppy food, so we ordered it when we got home. He was eating and having nice solid “bathroom breaks” 🙂 even after the stress of transitioning to a new home. I’ve almost NEVER heard that from other new dog owners. It makes starting crate and potty training a LOT easier! We’re extremely satisfied with the quality of this food, and will continue using it in the future. Thank you for making this special time even better! My golden doodle loves the food! Her hot spots are gone. We are extremely happy with Great Lakes brand food. Our puppy is thriving and is very healthy. 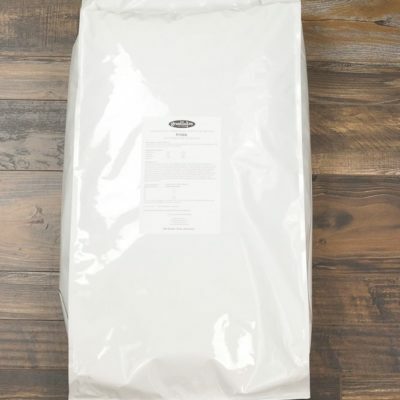 We love that we can depend on the quality in every bag. 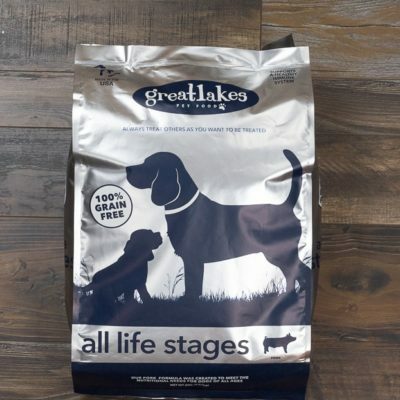 As a family we are conscious about our own intake of foods, and we strive to put only the best on our table – Great Lakes gives us peace of mind that our puppy can also have the best in his bowl. We appreciate the dedication to quality! We brought home our 11 week old mini goldendoodle puppy “Bailey” last week. 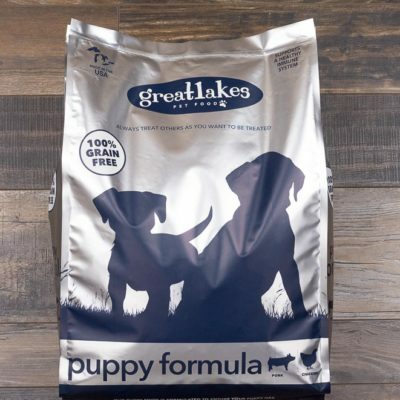 The breeder has all her puppies on Great Lakes Puppy food and highly recommended it so we purchased a bag from her to keep him on the same food. I was so impressed from the time we brought him home with how well he ate and that his “poops” were solid leaving no residue or odor when picked up! He never had any loose stool or issues with not eating as many new puppies have. I just ordered the meat treats for him as well. Bailey’s new puppy visit with the vet was also great…very healthy puppy! 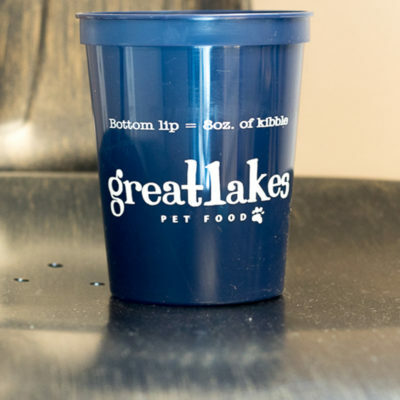 So thankful for Great Lakes Pet Food!!! Highly recommended by wonderful couple who I am pleased to say knew what they were talking about. Once again Great Lakes came through on short notice and delivered on time. Both my puppies are doing great. One is a newfoundland and the other is an aussiedoodle with digestion issues. 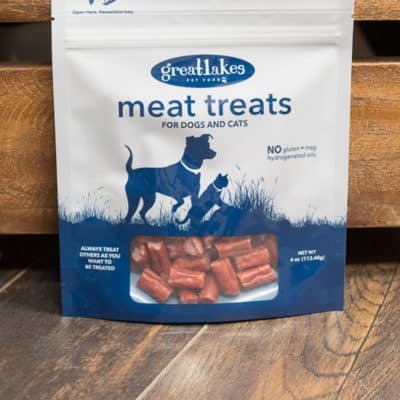 I switched his food to Great Lakes grain free pork which was recommended for the newfoundland and I now have two very happy healthy pups that love their food. I noticed the kibble size are much smaller. My puppy love the small size kibbles just as much and no issues with digestion. He has been on Great Lakes Grain Free Pork for puppy sine we got him from the breeder. 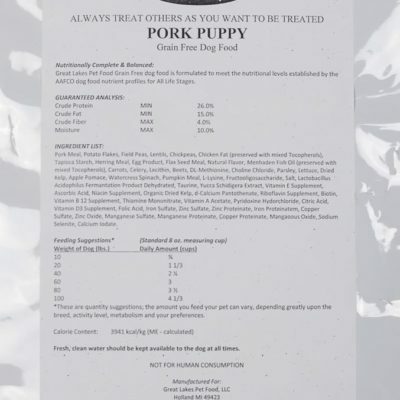 Out puppy has loved the Grain-Free Pork for puppies from day 1 and has had no issue with digestion. Pork Meal, Potato Flakes, Field Peas, Lentils, Chickpeas, Chicken Fat (Preserved with Mixed Tocopherols), Tapioca Starch, Herring Meal, Egg Product, Flax Seed Meal, Natural Flavor, Menhaden Fish Oil (Preserved with Mixed Tocopherols), Carrots, Celery, Lecithin, Beets, DL-Methionine, Choline Chloride, Parsley, Lettuce, Dried Kelp, Apple Pomace Watercress, Spinach, Pumpkin Meal, L-Lysine, Fructooligosaccharide (FOS), Salt, Lactobacillus Acidophilus Fermentation Product Dehydrated, Taurine, Yucca Schidigera Extract, Vitamin E Supplement, Ascorbic Acid, Niacin Supplement, Organic Dried Kelp, D-Calcium Pantothenate, Riboflavin Supplement, Biotin, Vitamin B12 Supplement, Thiamine Mononitrate, Vitamin A Acetate, Pyridoxine Hydrochloride, Citric Acid, Vitamin D3 Supplement, Folic Acid, Iron Sulfate, Zinc Sulfate, Zinc Proteinate, Iron Proteinate, Copper Sulfate, Zinc Oxide, Manganese Sulfate, Manganese Proteinate, Copper Proteinate, Manganous Oxide, Sodium Selenite, Calcium Iodate.